Aaron Norris is joined this week by Dr. Jonathan Reichental. He is an award-winning technology leader whose 30-year career has spanned both the public and private sectors. In 2017, he was named one of the top information officers in the world. In 2016, he was named one of the top 20 most influential CIOs in the United States. He is recognized as a global thought leader on a number of emerging trends including urban innovation and blockchain technology. In 2013, he was recognized as one of the top 25 doers, dreamers, and drivers in government in America. His innovative work in government has also been recognized by the White House. He is also a popular write and educator, producing several highly successful online courses on LinkedIn Learning, which was how Aaron got introduced to him. He also co-authored the Apps Challenge Playbook and is a frequent public speaker on a wide range of technology and business-related topics. What technologies will make the biggest impact? Could the changes to technology change urban development and real estate? How fast should we expect to see these changes happen? What are some of the latest updates on artificial intelligence and Blockchain technology? When it comes to education, how has it remained the same over the years and catered to different audiences? Is the definition of urban and suburban changing? Aaron was introduced to him because he was on LinkedIn taking the digital transformation leadership series, and he was the very first one. His course was called “The Foundations of the Fourth Industrial Revolution,” which Aaron thought was fantastic. He immediately reached out to him since he wanted to cover this and its effects on real estate. It is incredible how people are able to connect this days, and he loved it that he and Aaron met because of their intersection online. Aaron asked if he has been surprised how the LinkedIn course has fared and if he has gotten positive feedback. He said he has and has been a part of LinkedIn Learning now for several years. He has a good cadence for proposing course ideas, developing them now, and having them published. He tries to do about 2-3 a year. He tries to identify topics that are very current and will be big game changes in the months and years ahead. One thing he does is he checks to see if anybody else is doing anything more broadly on these topics. If not, he will fill the niche. He fell in love with this fourth industrial revolution idea because it such a great way for all of us to understand the future. The confirmation is happening in every part of the economy, both for enterprises and individuals. Recently, he just completed a draft of the course on quantum computing, which is a subset of the fourth industrial revolution. In itself, it is a massive potential game-changer as it relates to computing platforms. The response has been amazing. His Blockchain courses are approaching 1 million participants; and from his research, they may be the most popular Blockchain technology courses in the world right now. He feels the topic of the industrial revolution is building a momentum. The timing is right, and the big boost in this topic will not be behind us but ahead of us. Aaron asked him if they were always going to make this the introduction course into the digital transformation leadership course or if it just fell into place. Jonathan said he was not aware how they would position it, although he is happy they did since it is just the right intro course to set the table for everything that has happened. This includes smart buildings, energy, public safety, and digitization. He had told his colleagues to exposition it properly, and they did. 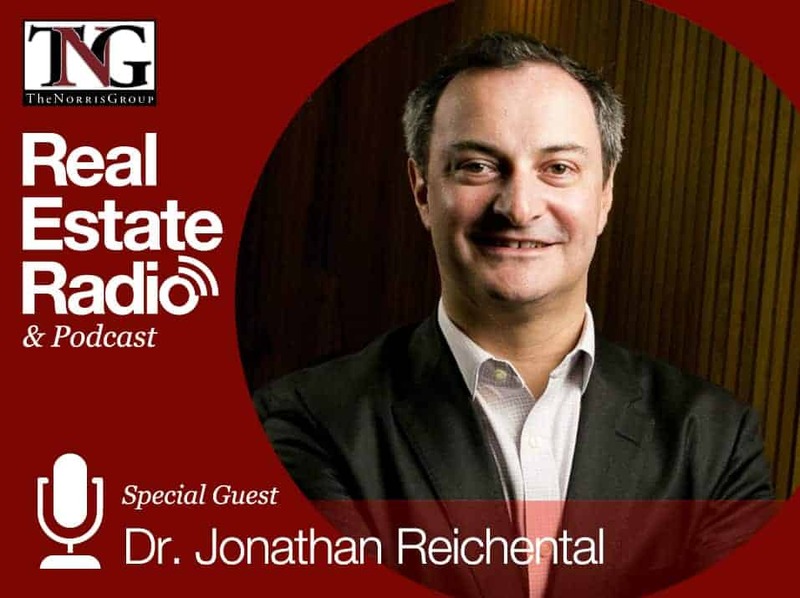 Dr. Reichental will be very busy over the next decade since it will happen a lot faster than some think. Starting at ground zero, Aaron asked him how he quickly defines Industry 4.0. He said the term comes from the German government and is super focused on optimizing and being a successful manufacturing-based economy. He feels this is a subset to the broader industrial revolution. It builds on the transformation we are in right now, which is a third revolution in the information technology age. We have seen the advent of the microchip and use of the internet, miniaturization, and the use of mobile devices like laptops and smart phones and even smart watches now. The fourth revolution is about increasing amounts of innovative hardware and the intersection with biology. You see this multidimensional intersection of many domains. You can also throw into the mix changing global economics, shifting demographics, and left-entry barriers for economies all over the world. He is really bullish on Africa and sees the time coming very soon. If you are not thinking about Africa in your plans, you will miss a multitrillion, multi-decade opportunity. Other countries other than America are getting that much sooner than us. Those are the big maceral areas, but the actual dynamics of those areas is that for each of them, when a line of code is changed in Silicon Valley it impacts people all over the world and impacts them instantly. This also goes for impact. The other thing is velocity and speed at which change is happening. An example of that is how fast an idea goes from being made available to being adopted by millions of people. When you think about the air and space industry, it took 64 years or 50 million people to travel in a plane. Gradually, new tech has been introduced that has led to less and less. Today, it could take only 19 days to reach 50 million people. Finally, you have the idea of convergence. A cliched but good example is Uber. They have this transformational ability to transport, so why didn’t Uber exist ten years ago. We also have to have GPS, online payment systems, social networking, and outsourcing. There is a lot of other tech that has to be in the place where it can be used constantly to be stable. To converge those things, you create this completely new layer of value. People ask why this is so different from the third revolution and change that has happened in the past. He tells them it is this notion of scope impact velocity conversion all happening at rates and scale that have never happened in the history of humanity. If it makes enterprises and individuals feel uncomfortable, that is probably the right reaction. Aaron has written about the education system for ThinkRealty Magazine before, and he was originally introduced to online education the last year he was at school based in New York City. At this time, he was trying to travel the world as an actor. He finished his last year online; and while he was doing different gigs all over the world, he picked up a set of tapes to learn Photoshop with TotalTraining.com. He learned more in 22 hours on those VHS tapes then he did in three design courses in college. When he saw LinkedIn by Lynda.com and then Microsoft buy LinkedIn, he thought these two purchases were the most on-brand purchases. He could potentially take a course by somebody like Warren Buffet. He could do it because it is backed by something like Microsoft. He could do it one time, create amazing thought leadership content at scale, and he would not have to teach it at a university. However, if Aaron were at a University, how would he compete with that? They way this could change the education system and how we work and learn is fascinating. Education is complicated, but we can recognize a few things. First, over the centuries it has not changed that much. You get students into a room, have someone teach them, they go away to do homework, come back, get the homework graded, then start over. It is a model that is used around the world, and there are a lot of weaknesses. One of these key weaknesses is not everybody learns the same way despite us teaching the same way. You have winners and losers; some people who prosper in a classroom setting and others who don’t and see the repercussions of this for the rest of their lives. What is great about the 21st century is you have choices of how to learn through many different modalities that are better suited for what works for you. Being a professor himself, Jonathan loves being a classroom with a professor. You have a lot of people who want to learn on video or want to learn at their own pace. They like to read and go to sites that give them a diverse set of different perspectives and different ways of talking about the topic. The idea of online video or on demand online video that come in pieces and help you understand the topic when you piece them all together is the hottest area right now in education. It is the fastest-growing and most varied area of education. Some people, like Aaron, like to learn on their own time. Others are in the enterprise and have to learn a new skill, whether on your own time or on the weekend. It is exploding in popularity and seems like a really good thing. It means that kids have opportunity all over the world to see the same content that everyone else does. There is a little bit more democracy to it. Aaron read a really good book several years ago called Fortune At The Bottom of the Pyramid. The book talked about Fortune 500 companies that work in these third world countries and still make a lot of money. The most fascinating chapter was the one that talked about bringing in smart technology to the screen. People may not have consistent sources of electricity; but if you put a smart screen in front of them, the user interface is so beautiful they figured it out quickly. You are going from an environment that does not have consistent electricity, but they can figure out a smart phone and get the 30-year of the American experience. For some of these third-world countries, there is a lot of room to grow since they are also not burdened with bureaucracy. The fact that Dr. Reichental is a Chief Information Officer and has worked in government helps so much. Aaron has spoken to some Blockchain leaders, and they said it will not happen in the United States first. It will happen in third-world countries since they do not have anything. There is a lot of room for innovation since they do not have the same systems we have. Aaron asked him if he is seeing technology in some of these areas possibly happening faster since it is filling a void that does not have any bureaucracy in place. He said yes and that there is really no such thing as a third-world anymore. In our lifetimes, poverty went from being 30% of the world to extreme poverty being less than 10% in the world, or about 9.5%. Extreme poverty at this trajectory is dropping really slow. It’s actually a good news story; and in not too long from now the extreme poverty will be very small. Any type of true poverty is unacceptable, but the fact that it is dropping rapidly is a good news story for the planet. However, it also means countries and societies are getting electricity and finally getting internet access. The things they saw over the last few decades that were real limitations for a decent part of the world are beginning to drop rapidly. The competitive advantage we have, which you can argue in cases was unfair, is also going away. There is no reason an incubator in Lagos, Nigeria can be worked on and globally deploy a Blockchain solution that solves some problems the same way an incubator in Silicon Valley. There is beginning to be more of an even playing field; although it is risky since now we will have to work harder. Whether it is the United States or Germany or other well-developed nations that had advantages, they are now going to find that they are really being pushed to compete on the global scale. This is good for consumers since new competition is generally healthy. We will all benefit from this rigorous hyper-competitiveness. One question was whether a city without an older infrastructure can leapfrog it ahead of others. In America, we spent 100 years laying cable, so it is able to facilitate the telephones we have and other telecommunications systems. If others leapfrogged to a cellular infrastructure, they could use better cell technology and not have the burden of having to support a significant wired infrastructure. They have benefitted from this, but ultimately it will not be just that we will see moving forward as there is always multidimensional and will rely on the political environment and things like available investments and collaboration. There are a lot of different dimensions that contribute towards whether a city or country prospers in the 21st century. We are in a better time now for any city or country in the world to compete against any other. Aaron and Dr. Reichental went on to talk about how the Industry 4.0 might shape some things. In his course, he talks about how more people are moving to urban environments. The number who live there is 50%, and it is expected to go up to 75%. Aaron wondered if this was global or just in the U.S. Jonathan said it is global, so 75% of people will start moving towards urban environments by the middle of 2050. This is a new day for humanity and the planet. For all of our history to this point, humans have really lived in rural environments. What is happening now is you see this shift where most humans will live in the city context. The countryside and farms will have very few humans on them, so we have to adjust to that. As you think about real estate, there are two basic components he thinks about usually. The first is the significant need for infrastructure. Bill Gates said that for the next 40 years, we will build enough real estate the size of New York or Manhattan every month. The steel, concrete, pipes, wiring, and everything that goes into it will continue to have massive demands in the foreseeable future for multiple decades. The second component is it is building an infrastructure that are major contributors toward planet change. As we build more real estate, we are having greater impacts on the planet. Typically, we build a lot of our infrastructure on coastlines. The major metropolitan areas around the planet are on the coastlines. However, if the sea rises, we may have to build new infrastructure to include barriers or to move some real estate. This will be one of the most important areas on which to focus in the years ahead. Aaron asked if the definition of urban and surban, or suburbs close to an urban environment, which he got from John Burns’ book Big Shifts Ahead, changing at all. Jonathan said there are some indications of it changing. For example, you see the millennials and Generation Y tending to want to live in more of an urban environment. In many communities, you are seeing a revitalization of downtown as a place to live. If you think about the last few decades, downtown areas have become ghost towns. People work there during the day, then around 5:30-6 you jump in the train or your car and go back to the suburbs. Now, you are seeing a little reversal of that where the newer generations want to thrive in and are more excited to live in the more dense urban environment.